Enjoy Our Free Food For Thought? We had a wonderful response to last Friday’s Free Food For Thought, in partnership with SAGE Dining. Please watch for additional dates to come for both students and parents to try MPA’s program. 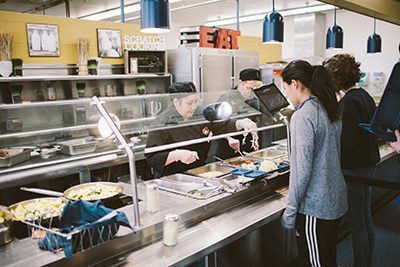 If your student enjoyed the experience, Middle and Upper School students can add lunch for the remainder of the school year for $430—equivalent to just $5.75 per day. Lower School students can add lunch for the remainder of the school year for $380—equivalent to just $5 per day. Contact Amanda Platson, student billing coordinator, at aplatson@moundsparkacademy.org or 651748-5502 to do so.